Instagram just passed the 400-million-user mark, and with the U.S. population spending an average of 1.7 hours on social media every day, this is a big deal for your business. Think you don’t need Instagram followers? Consider that 61 percent of Instagram users are between the ages of 18-64. Ranking as the 2nd most popular messaging app, Instagram was rated as the No. 1 social media app for brand social engagement. Instagram estimates that, by 2017, more than 70 percent of U.S. companies will use their platform as a marketing tool. Instagram offers millions of eyes—for free—if you’ll only take the leap. Here are some suggestions for getting started, and some benefits to using Instagram to help build your business. It can take some time to build a following, but this is your chance to celebrate the great work you get to do every day. Make sure to post regularly—neither too frequently nor too infrequently—and engage with your followers. This can be as simple as responding to a comment on your post, or occasionally commenting on posts your followers publish. Consider linking to your website in your Instagram profile to help drive traffic in both directions. Also, try using the same profile photo on Instagram that you use elsewhere to create consistency across your personal brand. This is your chance to give your audience behind-the-scenes access to your exciting world. With a visual-focused medium like Instagram, be sure to celebrate the beauty in what you do. Go ahead and fill in your followers on the human aspects of your business. Share photos from the company BBQ and show off your familiarity with the community. Try to position yourself as having local expertise. When posting photos and videos, you might be tempted to think of them as “assets.” They are, but they’re your assets. It is not recommended to post stock images or videos, even if you alter them before posting. Keep it real. Hashtags are capable of joining all parts of a conversation under one searchable term. Definitely use hashtags when you post, but don’t overdo it. An easy way to approach hashtags is to ask “is this a conversation I want to be a part of?” Then ask “am I contributing to this conversation?” If both answers are “yes,” post and hashtag away! You’ll see better results from hashtags that are popular (trending) at the time of posting and relevant. Instagram videos experience 2x the engagement of photo posts. And with a running time of 3-15 seconds, the videos meet the market demand created by shorter attention spans. Make your videos an Instagram replacement for 3D-walkthroughs. Instagram now counts video views, so you can see the engagement for each post. Try creating mini-scripts for your videos. Since you only get 15 seconds, you want to make sure your voiceover covers the highlights. Instagram is tied with Snapchat as the 2nd most popular messaging app. What’s number 1? Facebook. Who owns Instagram? Facebook. This is a big deal. Make sure you auto-share your Instagram posts to your Facebook and Twitter accounts for maximum engagement. Auto-sharing can help boost engagement and amplify your audience. 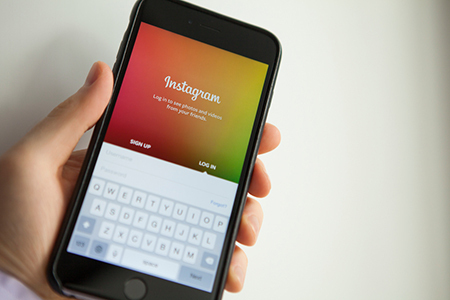 Almost 30 percent of the U.S. population uses Instagram. In fact, Instagram usage has doubled in just the last 2 years. With 80 million photos uploaded daily, make sure you’re making the most of this high-engagement platform. For more information, visit www.onlinehsa.com.